On a surprise sunny day on Memorial Day weekend, an essential Northwest tradition was experienced by spending the afternoon at Pike Place Market, the Seattle waterfront, and Tillicum Village. At Pike Place Market, we hit a few of our favorites…DeLaurenti, had a BBQ pork hom bow at Mee Sum Pastry, walked through the market and stopped by La Buona Tavola, where a jar of fig preserve with balsamic vinegar was purchased www.trufflecafe.com. La Buona Tavola specializes in truffled products, Italian specialties and wines from Italy and Washington State. See May 2010 post for more Pike Place Market fun. The water glistened as we walked along the waterfront. Stops were made at the Ye Old Curiosity shop and Exclusively Washington (Pier 54 next to Ivar’s) www.exclusivelywashington.net. Tillicum Village is a fun trip for visitors and locals alike. You will be welcomed aboard an Argosy Cruises boat with a narrated look at Puget Sound area Native American history, with a focus on Alki Beach and the Blake Island area. Did you know that Blake Island is only reachable by boat? Argosy Cruises have two runs a day to Tillicum Village (with three on Saturdays during the height of summer). Check out http://www.tillicumvillage.com/ for a schedule and more information. The cruise is approx. 45 minutes and seating is available indoors and out with a bar for beverage service on each level. Upon arriving at Tillicum Village, you are greeted by a gentleman in Native garb and offered steamed clams as an appetizer (in mugs). They encourage the dropping of the shells on the already shell made pathway (stomp away!). I love the smell of a campfire! View a whole salmon being cooked on a cedar stake above an open fire. Then it is off to enjoy a buffet dinner…with berry cobbler to finish the meal off (see link for menu specifics). The dinner concludes with a show of storytelling and dance of Coast Salish tribes. The storytelling itself is done by Roger Fernandes, also known by his native name Kawasa, a member of the Lower Elwha Band of the S’Klallam Indians from the Port Angeles, Washington area. Note: the storytelling is presented via video and the dance, by three live performers. 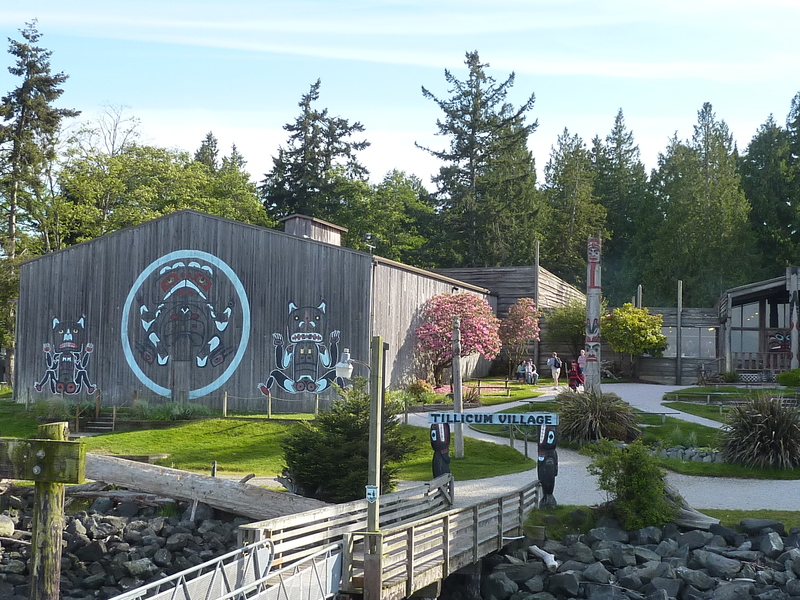 After the show, you are given 30+ minutes to tour the gift shop and to wander the grounds/beach of Blake Island. A very nice trip overall! Food Trucks have arrived in Bellevue and the Eastside! I have seen that food trucks bring people out of their office and fosters a gathering in the community. I have had the pleasure of trying – Skillet serves up tasty street food with stops in Seattle, Bellevue, and Redmond (via an Airstream)… and is worth the gourmet price. The burger is oh so good – grass-fed beef, arugula, bacon jam, and cambozola on a soft roll. Have you tried Skillet Bacon Jam? Ooh la la…this is really tasty on a burger, Panini, or whatever you choose. http://www.skilletstreetfood.com/ “Like” them on Facebook. And as of this past week, I tried Tuscan Stone Wood Fired Pizza, which is located at the corner of Bellevue Way and Main Street in Bellevue…with more locations to come. They have 8 delicious wood fired varieties. Carne Amante is made of Red Sauce, 5 Cheese Blend, Fresh Mozzarella, Pepperoni, Italian Sausage, Onion and Tomato. Fabulous flavor! Definitely recommended! http://www.tuscanstonepizza.com/ Check out this article from Downtown Bellevue… http://www.downtownbellevue.com/2011/04/07/food-trucks-bellevue/#txt8! Local 360 – http://www.local360.org/ All food and drink are made/come from vendors who are within 360 miles of Seattle. The wine and bev list is filled with interesting cocktails, local 360 lager, WA wines, and the like. A great reason to support Local 360…sustainable, whole, natural, conscious, choice. As we were there during Happy Hour, we received the Happy Hour menu…available from 3-6 pm Mon- Fri. and from 10 pm till late every day. All items looked REALLY good and I must come back for more… this visit it was the Corndog – handmade kielbasa (thin) served with spicy mustard. I like the concept but especially liked the atmosphere and decor (see attached image). Love this place! 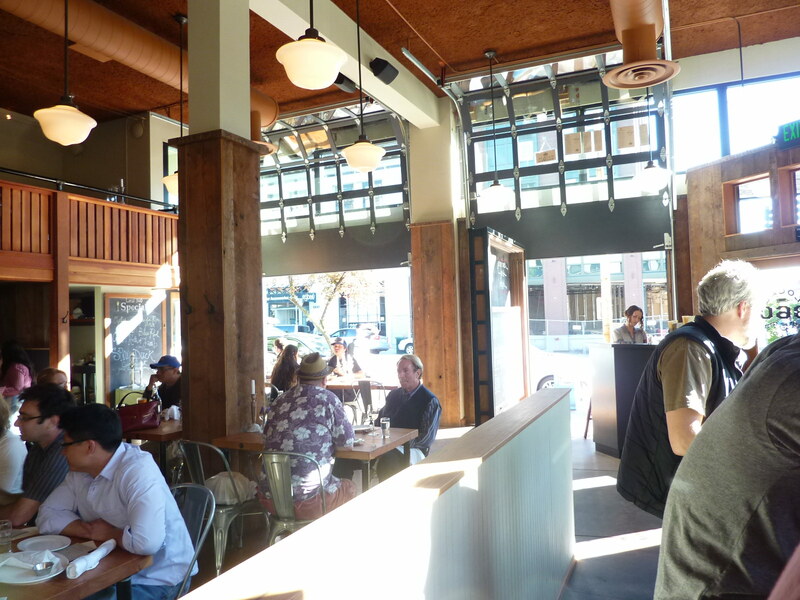 List – http://www.listbelltown.com/ owners are one in the same for sister restaurants Barolo and Mamma Melina. Ahi Tuna (could have been seared hot), Fried Calamari, Xrated Tini and Bluberry L Rocks. Modern decor and airy atmosphere. Sullivan’s Steakhouse – http://www.sullivansteakhouse.com/ Cocktails only…a nice list. And then it was off to see Guys and Dolls at the http://www.5thavenue.org/ The cast who played Sky (Brandon O’Neill) and Sarah (Katherine Strohmaier) were impressive. Overall, meh. Wine tasting at Purple Smile http://www.purplesmilewines.com/ A must stop! Wine tasting at Purple Smile was most fun. It’s a great stop on a Saturday afternoon, whether it is to have a day out with friends or meet some new ones…whether it be a person or wine. You can pay/taste by the glass, a taste of 7 different featured wines or a separate tasting of 3 specialty wines. A great selection can be found here… Washington wines and other. I really liked the cement style high tables and other touches that made the shop inviting. Wick was a great host. On this day, I had a glass of O.S. Rose, a dry rose that aimed to please. Hotel Bellwether was a nice place to stay. Near a nice spa, dining, and right on the water. Note: they only have two rooms available with multiple beds, so not so convenient if there is a group event. Bistro on Magnolia Street has a bistro vibe…is that possible? Entertainment on Sunday mornings for brunch. Serving breakfast, lunch, and dinner daily, and brunch on the weekends. Scrambles are served with hashbrown casserole and bread farm toast. A variety of options abound: Smoked Salmon Hash, Magnolia BLT, Biscuits & Gravy, Blue Scramble, Frites, Cobb Salad, Green Bowl, Mac & Cheese, Pulled Pork Sandwich, Calamari Sandwich, Flat Iron Steak Frites, North African Vegetable Stew, and more. The entrees at dinner are served with a seasonal vegetable and garlic mashers. 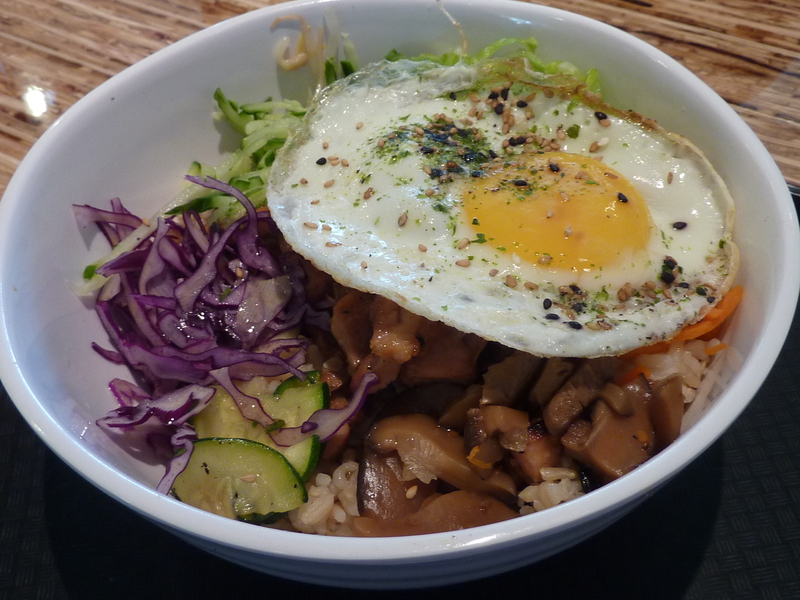 Prices range from $4 – 32, with brunch options under $13. Improvement needed: speed in the kitchen and the ability to split up checks for a larger group. Hey…looks like they have happy hour too! See my May 2010 Post for a more info.